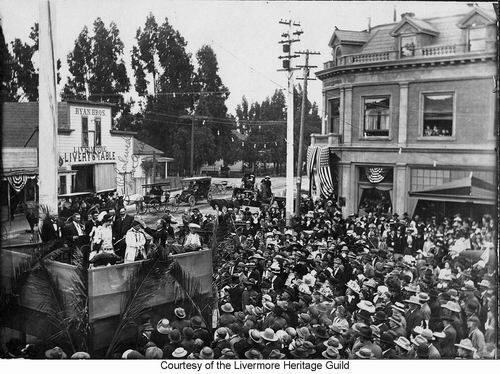 The Flagpole has been a landmark in Livermore since 1905. It is well placed, appearing right in the middle of 1st St. It was moved to its current location in 1959, originally being about 15 or 20 feet further north. 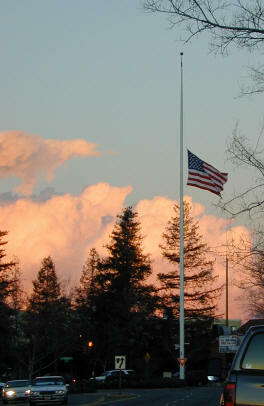 See also our other Flagpole page, with pictures of the plaque. 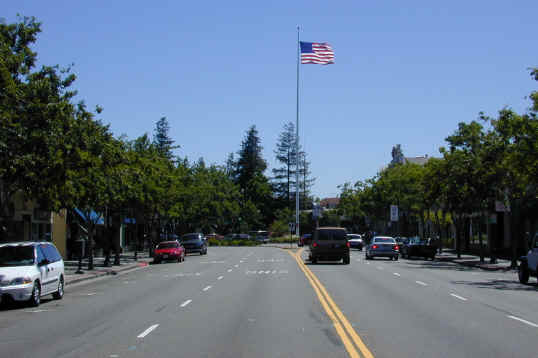 Looking south east across 1st St, onto Livermore Ave, with the flagpole on the left. The event is believed to be a Portuguese Holy Ghost festival in May 1911. A crown is being put on the person in white at the center of the stage.. The Ryan Brothers Livermore Livery Stable (more photos) can be seen on Railroad Ave. The Masonic building, built in 1909 is on the right. Lizzy Oliver's house is tot he south of Ryan's Stable. The start of the 1911 motorcycle race. 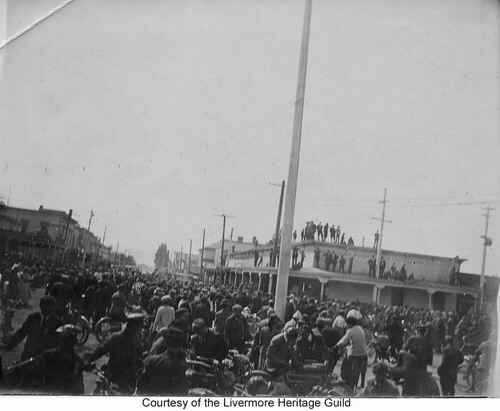 Looking west from around the south end of the Livermore Hotel. 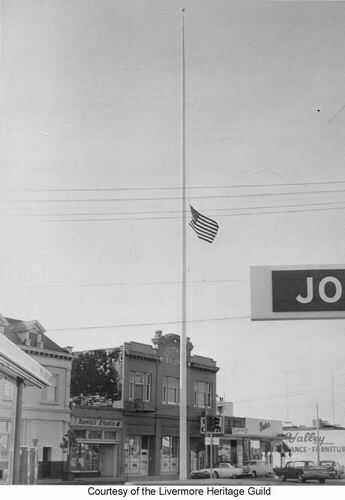 Flag Half Mast following assassination of President Kennedy November, 1963. The flagpole is at its current location. Looking east on 1st St on a windy day in June, 2002. The current location puts the flagpole such that it appears to be in the middle of the road when driving east. Taken September 11, 2002 from Livermore Ave looking south. 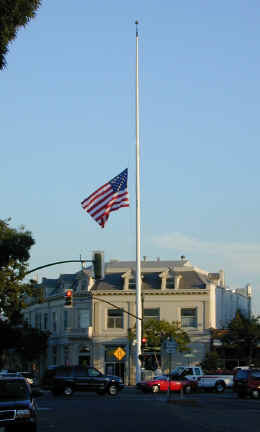 Taken February 1, 2003, the day of the Columbia Accident. The three color photos on this page are by eLivermore.com.